Roger. We got a roll program. Roll's complete and the pitch is programed. Apollo 11, Houston. You're good at 1 minute. Stand by for mode 1 Charlie. 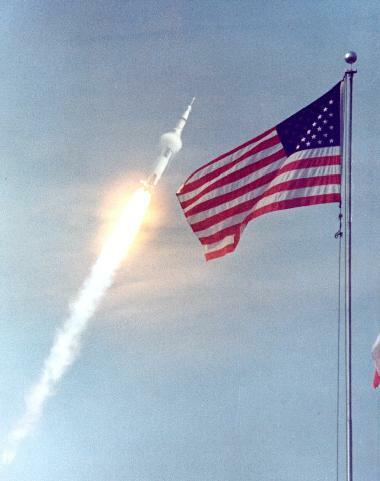 Apollo 11, this is Houston. You are GO for staging. 11, Houston. Thrust is GO, all engines. You're looking good. Roger. You're loud and clear, Houston. Roger. We confirm. Skirt SEP.
Houston, be advised the visual is GO today. This is Houston. Roger. Out. Yes. They finally gave me a window to look out. 11, Houston. Your guidance has converged; you're looking good. 11, Houston. YOU are GO at 4 minutes. 11, Houston. You are GO at 5 minutes. Stand by the S-IVB to COI capability. You sure sound clear down there, Bruce. Sounds like you're sitting in your living room. Oh, thank you. You all are coming through beautifully, too. We're doing 6 minutes. Starting the gimbal motors. Roger, 11. You're GO from the ground at 6 minutes. Apollo 11, this is Houston. Level sense arm at 8 plus 17; outboard cut-off at 9 plus 11. 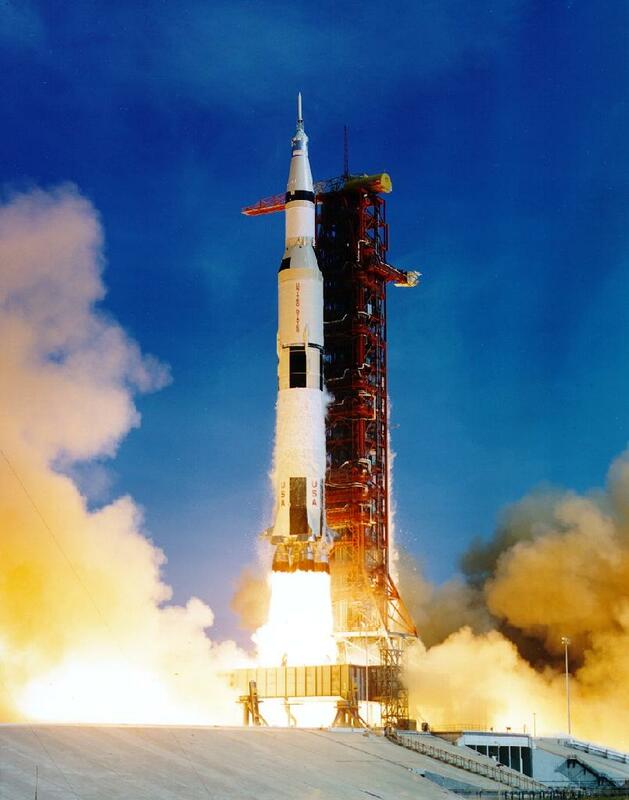 Apollo 11's GO at 7 minutes. 11, this is Houston. Roger. You're GO from the ground at 7 minutes. Level sense arm at 8 plus 17; outboard cut-off at 9 plus 11. Apollo 11, Houston. You are GO at 8 minutes. AGS just got the mixture ratio shift. Roger. We got PU shift down here, too. Well, it looks like a nice day for it. These thunderstorms down range is about all.